Being a worry bunny often stops Connor from having fun. 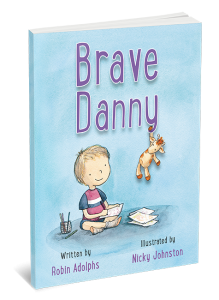 He wishes he was confident, adventurous and brave, just like his best friend Amelia. She wants him to worry less and laugh more. 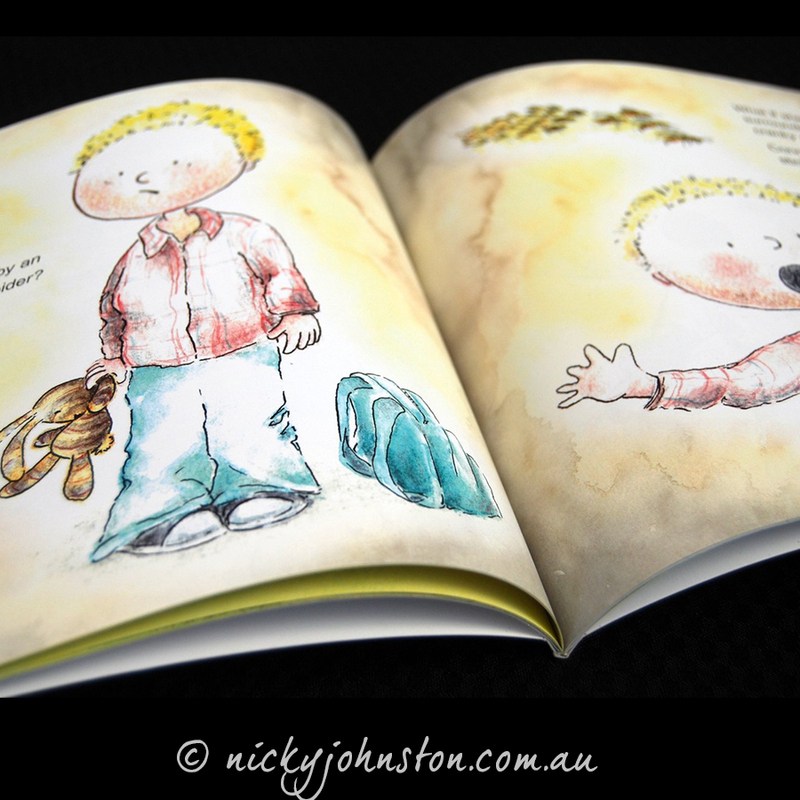 See how, by going on an adventure, Connor discovers that he actually can. 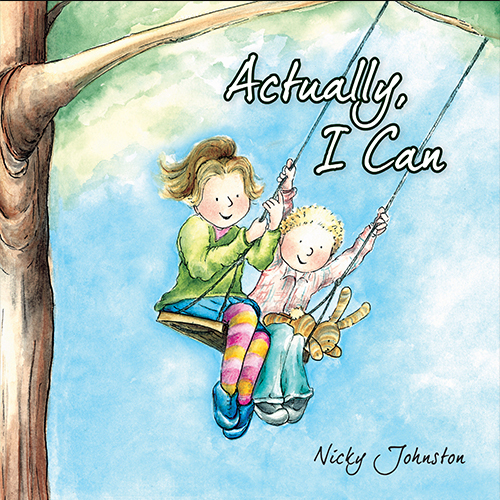 New children’s book by author/illustrator Nicky Johnston. Connor is a little worrier. He loves going on adventures with his best friend Amelia. After being faced with one of Connor’s biggest fears, see how he becomes empowered by his thoughts and believes his own words “Actually, I Can”. 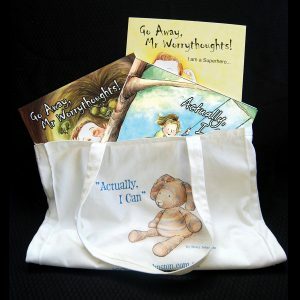 After loving the impact that Mr Worrythoughts had on our little worrier, we’re just loving Actually, I Can. 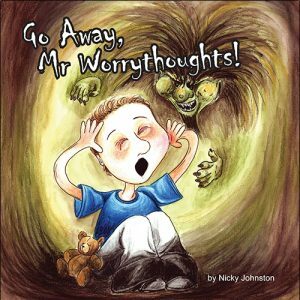 Nicky approaches children’s anxieties in a sensitive, touching yet humorous way. 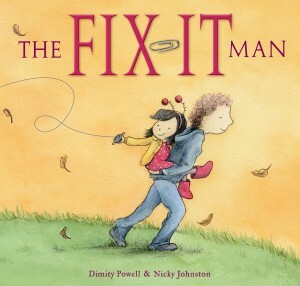 This book is a great resource in supporting our anxious 6 year old as well as a beautiful picture book for any child. Our daughter loved Go Away, Mr Worrythoughts and Happythoughts are Everywhere so much that I pre-ordered a copy of Actually, I can! It has been a lifesaver. Our little Miss “I caaaan’t” is reminded of Connor when she starts losing faith in herself. 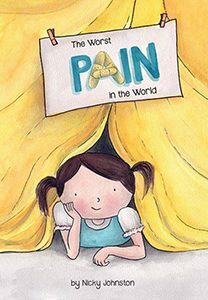 She spots ‘Connor and Amelia’ everywhere (just everyday children who are around the same age), has adopted her own worry bunny and giggles every time we read about the Mutant Snot Monster!! 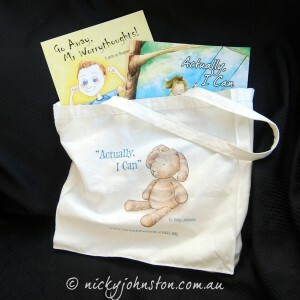 My daughter loved that the character of Amelia was so close to her own name! She is usually more like ‘Conner’ in her behaviour, so it was brilliant reading about Amelia having such a ‘can do’ attitude! 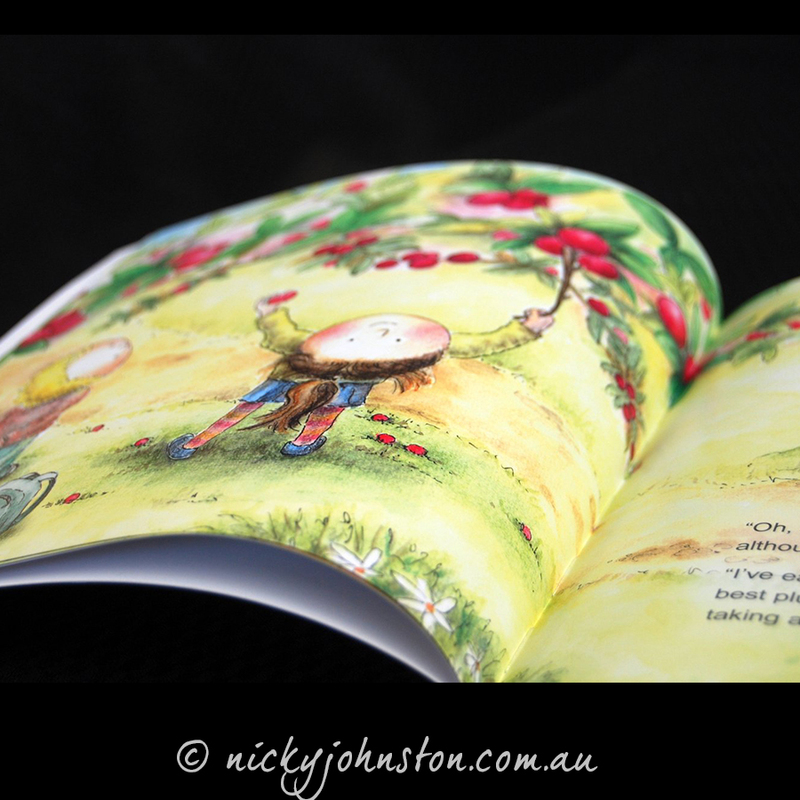 I forgot to say in my last review, I love seeing the development of Nicky’s art throughout the books! 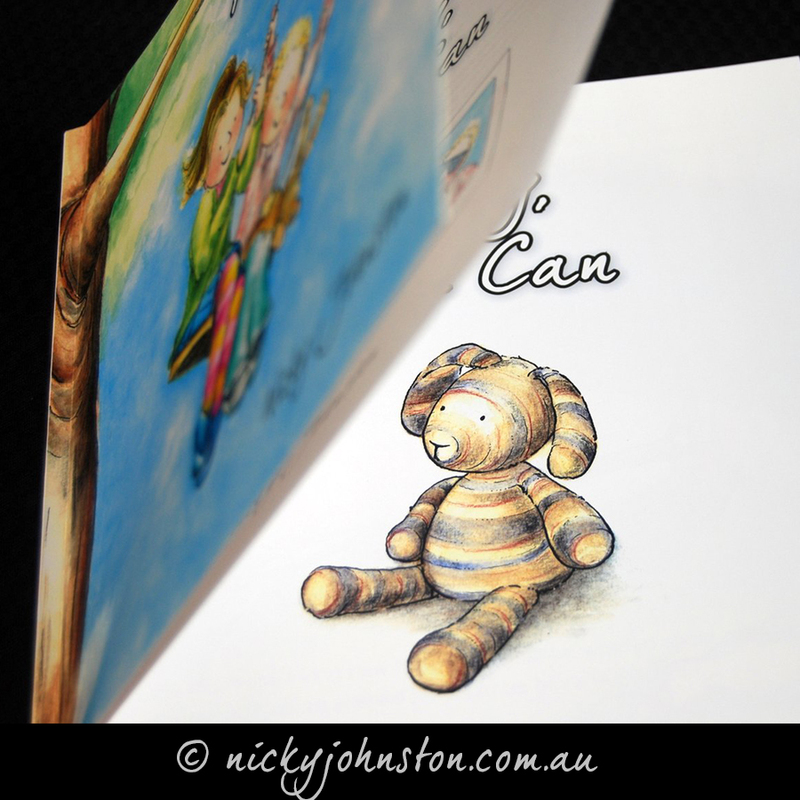 In ‘Actually I Can’, you can certainly see she has fine tuned her illustrative style & has created amazingly sweet characters!